Image: Ian West/PA Images/Getty Images. Meryl Streep's not only a powerhouse talent, she's also a powerhouse friend — and that was on full display as she showered her fellow Hollywood peers with love and joy at the Mama Mia: Here We Go Again London premiere on Monday. When asked how reuniting on-screen with Cher, someone equally famous, was after 35 years (they acted together in Silkwood in 1983), Streep gushed that it was absolutely fantastic. "I came on the set the day that she sang 'Fernando.' That was my first day… And she just lifted the lid off the place! I mean, she steals the movie," she told Entertainment Tonight. 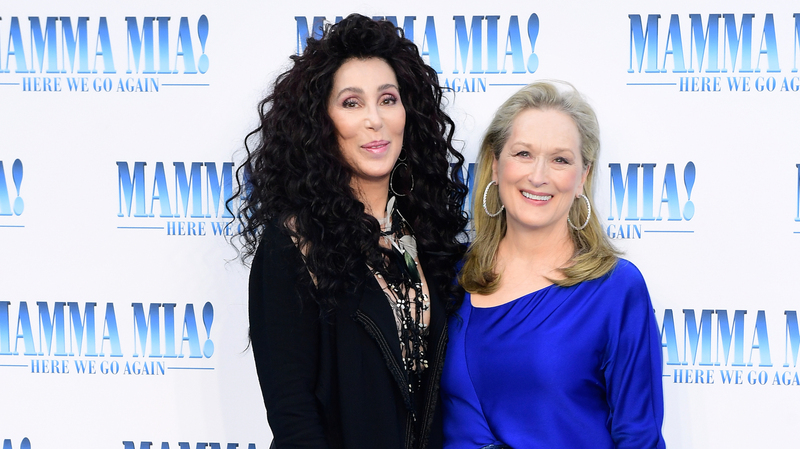 Oddly enough, Cher plays Streep's mother in the Mama Mia sequel — if you think that's weird, you're not alone. Cher is only Streep's senior by three years. But Streep said somehow, it made sense. "She's lived a much longer life than I have." Yeah, sure. 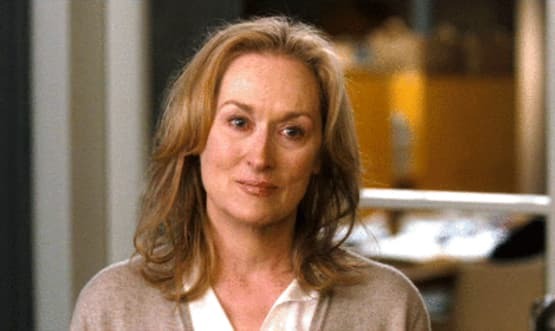 Streep's only won 173 awards — three of those being Oscars — been nominated 355 times; played a fashion queen (Devil Wears Prada), cooking legend (Julia Child), Holocaust survivor (Sophie's Choice) and prime minister (The Iron Lady); loved and lost (her first love, John Cazale, died of bone cancer in 1978 and she later married her current husband, Don Gummer); and raised four children, but life experience? Cher's had so much more. There's tons of justification there. Either way, Cher had nothing but love for her former Silkwood costar, telling ET, "We've stayed friends all these years. I cannot believe that, but [Silkwood] was my first film, and she helped me. I mean, she was unbelievable, because I had no idea what I was doing… It's great to see her again." Cher and Streep's friendship isn't the only Hollywood friendship that's remained tight through the years. 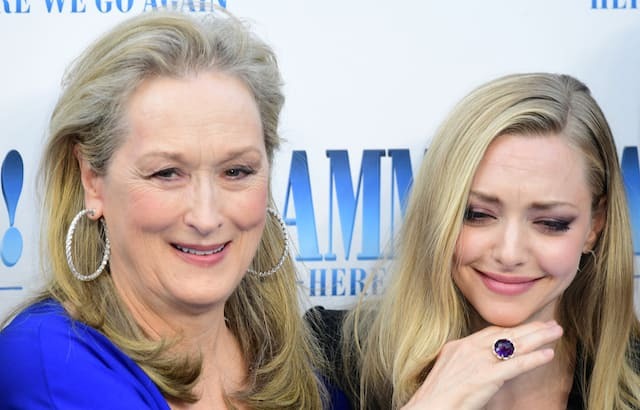 It seems Streep and her on-screen Mama Mia daughter, Amanda Seyfried, are also still quite chummy. We cannot wait to see the film because, guys, the gang's all back together! The sequel hits theaters on July 20, 2018.